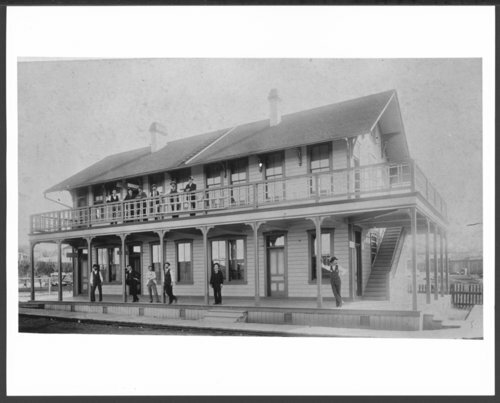 This black and white photograph shows employees from the Santa Fe, Prescott, and Phoenix Railway in front of the general office in Phoenix, Arizona. The Santa Fe, Prescott, and Phoenix Railway was a subsidiary of the AT&SF. The employees (with some humorous nicknames) are identifed on the back of the photograph.